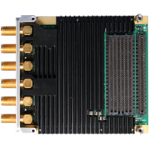 ADC & DAC Archives - Annapolis Micro Systems, Inc. 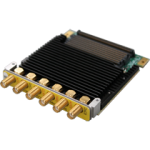 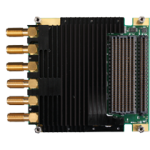 This ultra low latency Dual 1.5 GSps 12-Bit ADC & DAC WFMC+ is specifically designed for DRFM applications with 24ns latency from SMA to SMA. 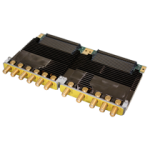 This ultra low latency 2.5GSps 10-Bit ADC 12-Bit DAC for WFMC+ is specifically designed for DRFM applications with 21ns latency from SMA to SMA. 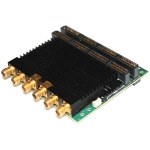 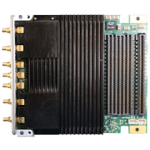 This ultra low latency WILDSTAR G2 Dual 1.5 GSps 12-Bit ADC & DAC Mezzanine Card is specifically designed for DRFM applications with 24ns latency from SMA to SMA. 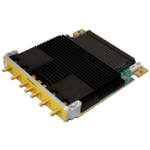 Compatible with WILDSTAR™ 7 and WILDSTAR A5 mainboards.